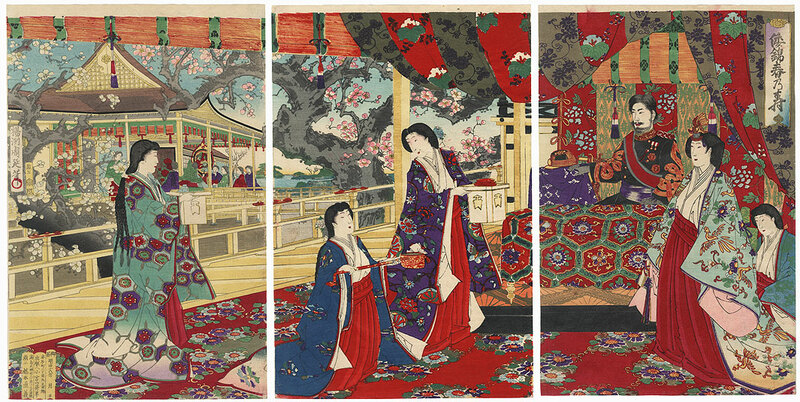 Comments - Beautiful scene of three women presenting spring offerings to the Meiji Emperor and Empress. 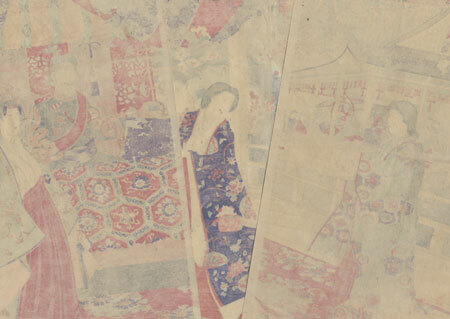 The Empress wears a delicately embossed, pale blue outer robe with a phoenix pattern, and a gold phoenix ornament in her hair. 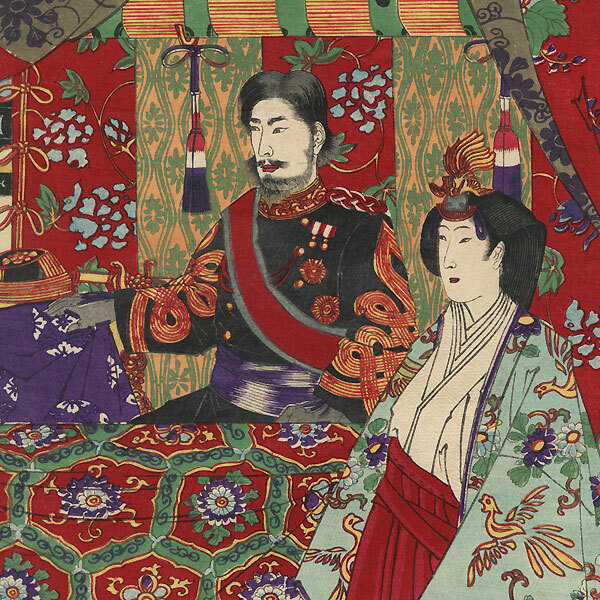 The emperor sits on a platform behind a low table covered with s richly patterned cloth. Ladies-in-waiting carry in an offering tray with graduated sake cups, the beauty beside her holding an ornate long-handled sake server. A beautiful old cherry tree blossoms in the garden outside. Nicely detailed with burnishing on the emperor's black jacket and the black edge of the platform, and embossing on the white kimono trim and the empress's outer kimono. Condition - This print with excellent color and detail as shown. Three separate panels, backed with paper. A few small holes, repaired. A few creases and small marks, slight ink bleeding. Please see photos for details. Good overall.